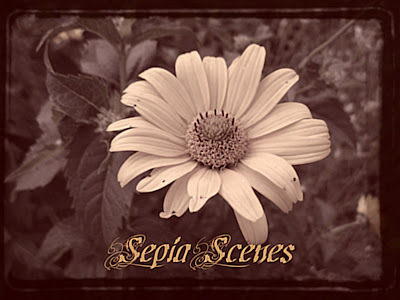 Hi everybody it's Sepia Scenes again! This photo is of a mask, a special Venetian mask made in the style of those worn by Italian jesters. Masks served an important social purpose of keeping every citizen on an equal playing field. Masked, a servant could be mistaken for a nobleman - or vice versa. State inquisitors and spies could question citizens without fear of their true identity being discovered (and citizens could answer without fear of retribution). The morale of the people was maintained through the use of masks - for with no faces, everyone had voices. Please don't forget to sign Mr. Linky and leave a comment. Visit our other participants - they love visitors! But no one could ever mask the beauty and the talent that's our Mary T.
Interesting concept... "with no faces, everyone had voices." It just might work. Actually, in a way, blogging accomplishes that very same thing. Years ago I said "Welcome to the internet, where all the women are gorgeous, all the men are studly and all the drinks are free." Same idea n'cest pas? That is such a beautiful mask Mary. I was about to guess that it was Venetian when I read your post. I like J's insights about blogging as a form of masking. Something to think about. This could be a ode to Mardi Gras. Love the mask. I'm glad you also showed the colored version because the colors are lovely. Hi, Mary! I have two entries this week and they're on my other blog - cuz I had already done the woik and didn't want to do anymore! Hah! Both versions of the mask are sublime and the back story is fascinating. Thanks for sharing. I have to agree with Mojo Mary. you are the best. I love your subject this week. The mask is really neat. I actually made it on time. Great detail to the mask, even with Sepia. I love that mask, but surely you jest...trying to be funny. I will be posting my entry later. Sepia makes things look so intriguing! I like that you posted the original photo as well. what a great idea you have on your blog. Your photos are so beautiful. I didn't know how to change photos into sepia and had great fun at my first try this morning. Thanks for sharing and best wishes :)! 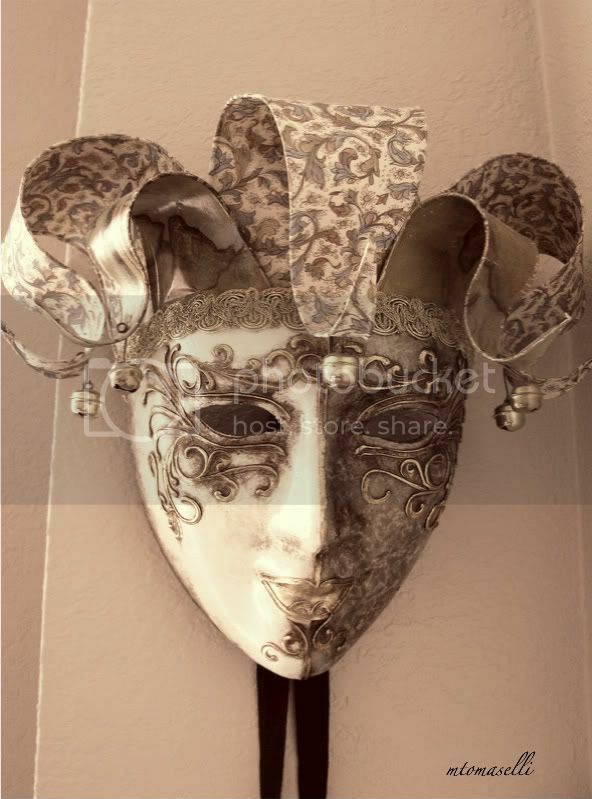 Mask - Something everyone will wear..be it a real mask for party or an invisible on their face. I would rather see people with masks on their faces than to know people with invisible mask on. What an interesting mask! I love it. The sepia shading is perfect for that photo - it suits the mask! Perfect for this week!!! I love how you included the original picture! I like your mask! It's very pretty. I like them both. Mine is posted. Have a great day!! Mojo has already quoted what touched me in what I read. The eyes are really what tell the truth. I think Elaine had some great thoughts that everybody does indeed wear masks. Love the mask. The sepia 'masks' the beauty of the original. I tried adding a little color like you did last week. Not sure I really like it yet. I really like the mask, both photo's.